Faith Vessels Font Stands are custom made in contemporary designs and available in your choice of four wood finishes. 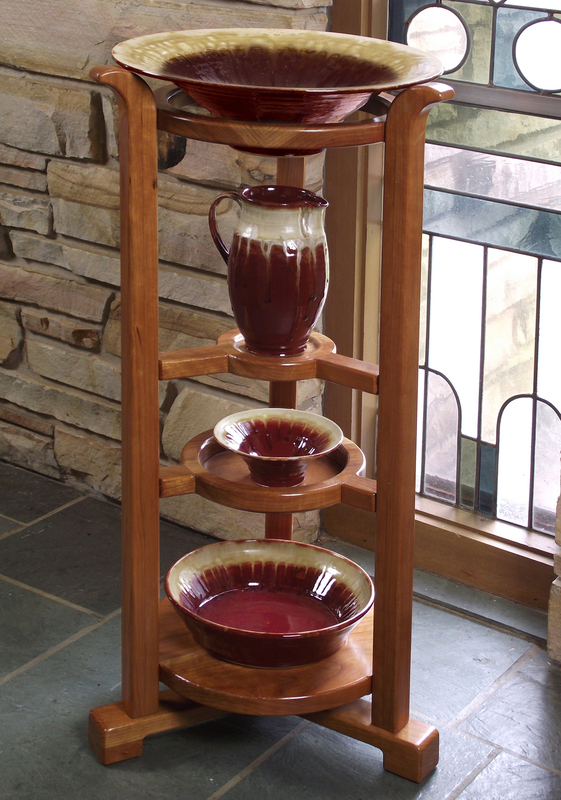 All pottery pieces are wheel thrown from the finest English porcelain, then hand trimmed and glazed in your choice of five exclusive rich color combinations by studio potter and former United Methodist local pastor, Hue Parnell. 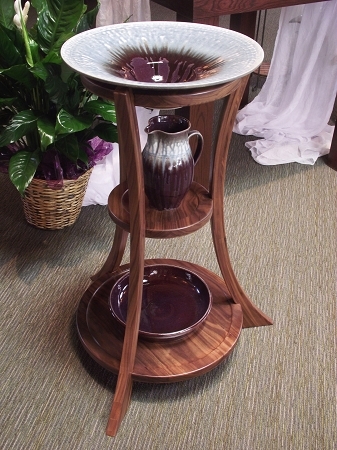 Baptismal Font Stand Sets make wonderful memorial gifts for your church when purchased in memory of a beloved church member.